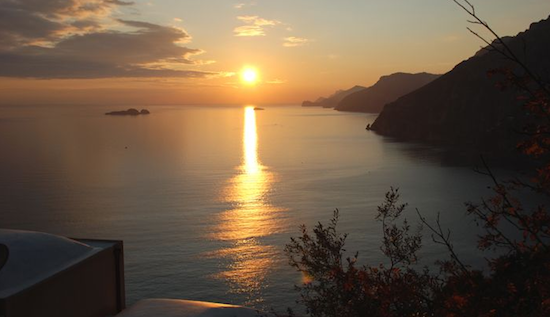 For any of our guests visiting Lake Como, check out Italian Apartments, run by Barrie and Julie, an expat couple from Wales, living la Dolce Vita since 2007. They’re experts on the region with a bunch of beautiful looking apartments that they professionally manage. They pride themselves on being able to organize just about anything: a table where locals like to dine; arranging champagne for a special celebration on arrival; wedding planning; or simply offer insightful knowledge on where to purchase the best Italian olive oil or cheeses from the local markets. Like us, they believe in offering authentic experiences and aim to provide little gems and knowledge of the area from people in the know. I’d always heard good things about Lucca, a small town in northern Tuscany, but only after a decade of living in Italy did I finally manage to visit. I was not disappointed – in fact, a few months later when my mom came to visit, I insisted on taking her there too (and it turned out to be one of her two favorite towns in Italy, along with Orvieto). 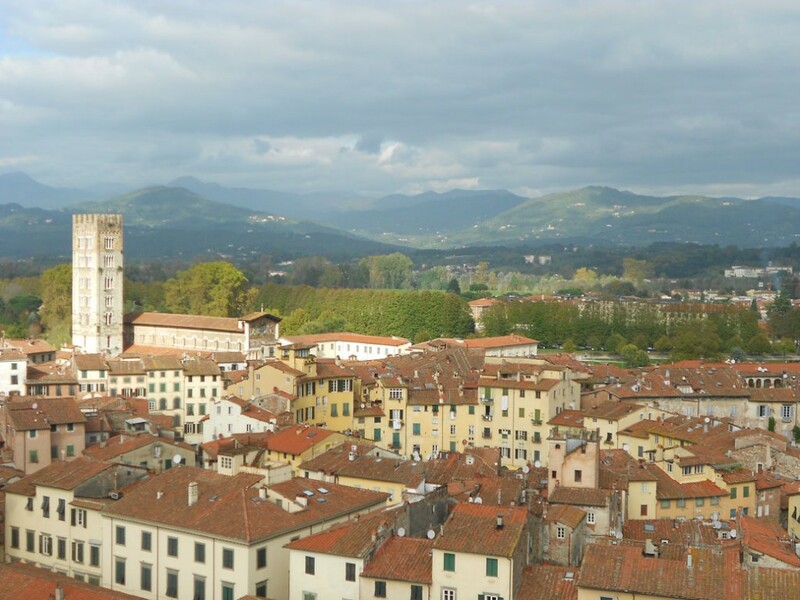 Lucca is not a major tourist destination – the crowds are bigger in, say, Siena or Pisa – because it doesn’t have any famous sights to see. But that was exactly what I was looking for: something slightly off the beaten path, with some interesting things to see and do, but mostly just a charming town to walk around in and relax. 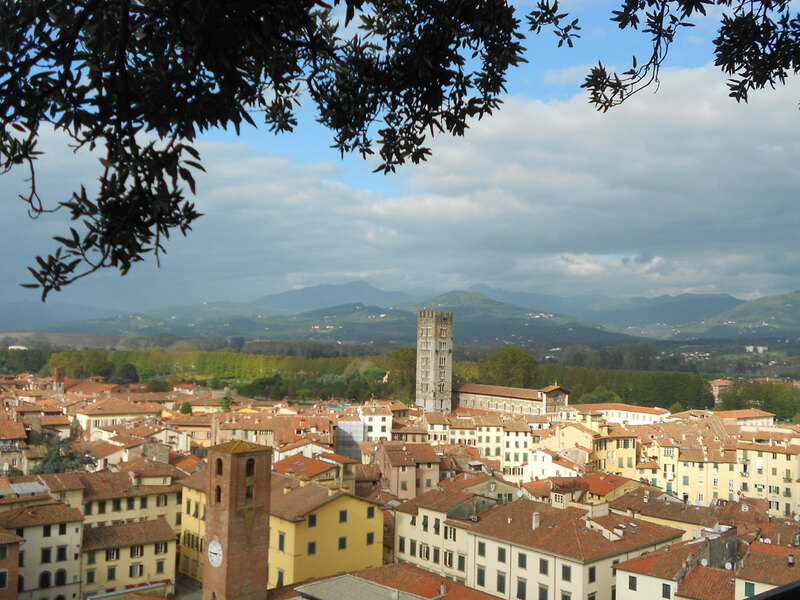 In fact, it’s the perfect day trip from Florence (it takes between 1 hr 15 mins – 2 hours on the train, €7.20-11) as you can pretty much see it all in one day, at an easy pace. 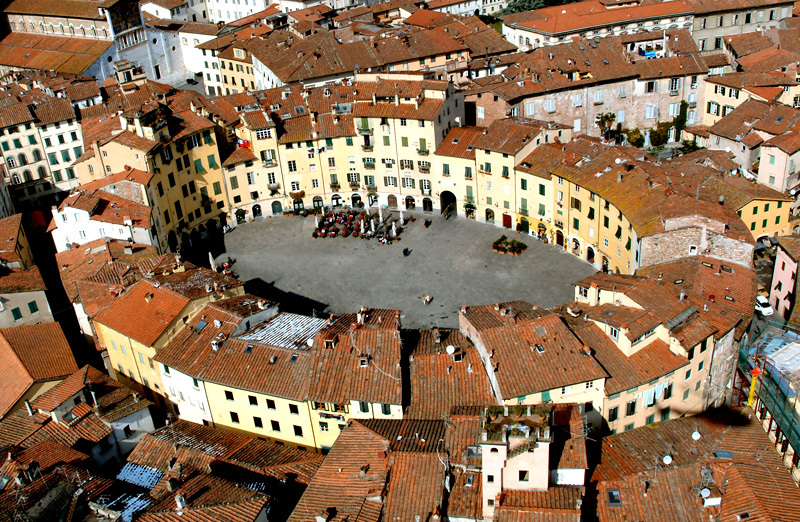 Exit the train station into the piazza in front (Piazzale Bettino Ricasoli), and stop by the Lucca Tourist Center to pick up a map for €1. Cross the piazza and at the main street, Viale Regina Margherita, turn left. 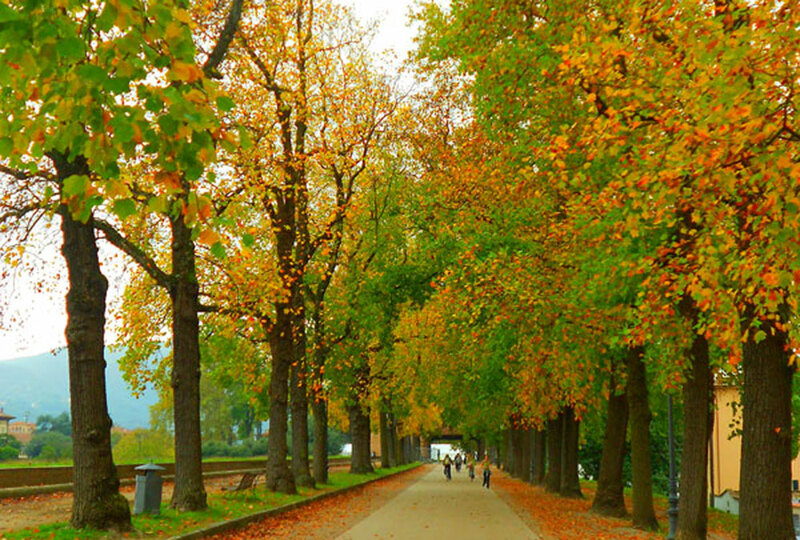 Walk up the street – on your right, you’ll see the old wall surrounding the historic center of Lucca. A little ways up the street, at the traffic light, you’ll see an entrance in the old wall. Cross the street and walk through the arches and you’ll be in the historic center. It takes 10 minutes or so to walk into town. Head straight to the Guinigi Tower, which opens at 9:30 am (entrance at via Sant’Andrea, 45, cost is €4). This is the most important tower in Lucca, and you can pick it out from anywhere in town as it has a few oak trees growing out of the top of it – a pretty unique sight. It was built by the Guinigi family, who were rich and powerful merchants in the 14th century. There are 230 steps to get to the top. It’s worth it for the gorgeous view of the whole town and the surrounding hillside. Your next stop should be one of the many bike rental shops in town – try Tuscany Ride a Bike on via Elisa, 28. Head over to one of the entrances to the ancient Roman wall that encircles Lucca, and take a ride around on top of the wall. Yes, that’s right – on TOP of the ancient Roman wall. Lucca no longer needs protecting, so the top of the intact wall has become a park – it has grass and trees growing on top of it, and a biking/walking loop that goes all the way around (4 km). You’ll see locals jogging, biking, walking their dogs, pushing strollers, or reading on a park bench. Cycling around the top of the wall high above the town gives you a great view and a feeling of freedom. After an athletic morning, park your bike and have a hearty Tuscan lunch. 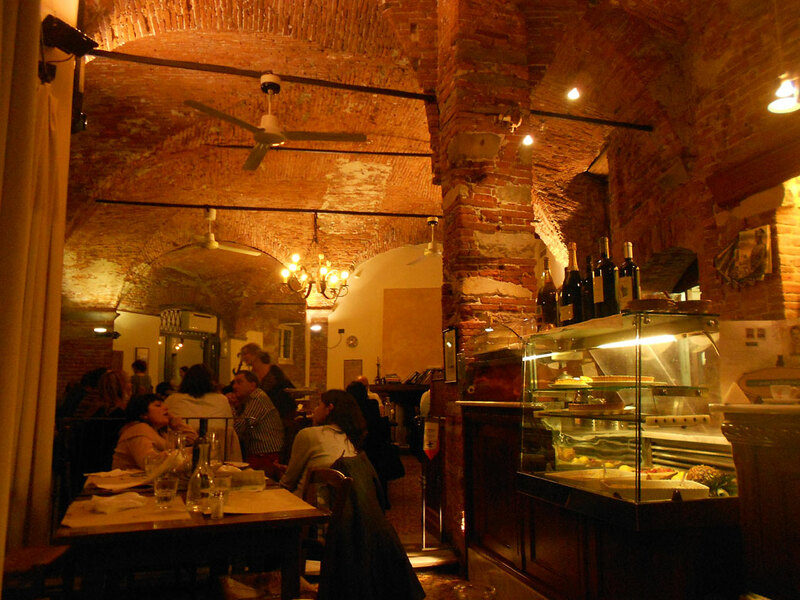 I liked Osteria Baralla (via Anfiteatro, 5 ) which had a charming atmosphere and great food. In the cooler months, try one of the filling Tuscan soups like ribollita or the farro (spelt) and vegetable soup. After lunch, spend the rest of the afternoon biking around town. By the way, even if you’re rusty on a bike, this is the place to practice: the historic center has little to no car traffic, it’s flat, and the whole thing is non-stressful. Plus it seems EVERYONE in Lucca is always riding a bike – grannies, little kids, and everyone in between. I saw a local woman smoking, talking on a cell phone, and window shopping all at the same time as she biked slowly through town. 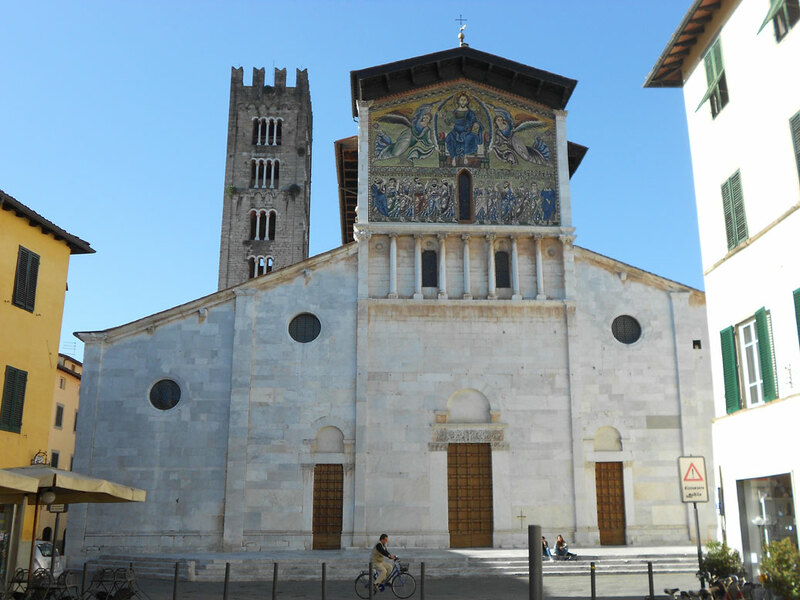 During your ride, stop off and visit the Romanesque Duomo di San Martino (Piazza Antelminelli); inside you can see the tomb of Ilaria del Carretto, commissioned by her husband, Paolo Guinigi, and made by Jacopo della Quercia (the church is free, but a visit to the tomb is €2). Also stop by the town’s other two main churches, Basilica di San Frediano with its gold mosaic façade (Piazza San Frediano) and the Romanesque San Michele in Foro (Piazza San Michele). If you’re an opera aficionado, the Puccini Museum, his birth home, is worth a visit (Corte San Lorenzo, 9, for €7). And if you’re visiting Lucca in July or August, DON’T miss the Puccini Opera Festival in the nearby town Torre del Lago (http://www.puccinifestival.it/). End your sight-seeing at the Piazza dell’Anfiteatro. This stunning oval piazza is built on the site of an ancient Roman amphitheatre. In the same curved shape of the ancient amphitheatre walls, there are now shops, restaurants, and apartments. The buildings are new, but inside some of the shops you can see pieces of the ancient structure. Have a late-afternoon coffee at one of the tables in the piazza as you take in the atmosphere. After returning your bike, stop by Pizzeria da Felice (via Buia, 12) for a snack to tide you over for your train ride back to Florence (open until 8:30pm most nights). This humble hole-in-the-wall is a tiny place with only a few tables, but don’t be fooled: it has the most amazing cecina I’ve ever had! 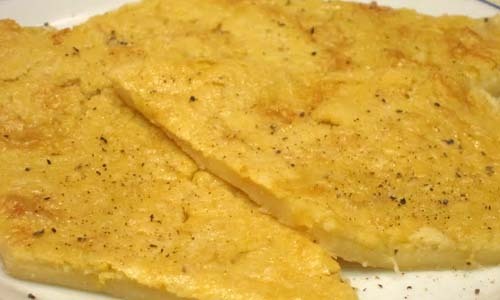 Cecina (also called farinata in some parts of Italy) is typical of Liguria and northern Tuscany: a simple savoury, flat, pizza-shaped “torta” made with chickpea flour, water, salt and extra-virgin olive oil. Eat it straight away, hot from the oven, topped with salt and pepper, and pair it with a cold glass of the house wine. It will be one of the simplest, but best, snacks you’ll have in Italy. We normally advise against staying near the airport: there are only big chain hotels; there’s not a lot to do or see, as the airport is kind of in the middle of nowhere; and it can be expensive considering that, if you don’t have a car, you really have no choice but to eat all your meals in the (inevitably overpriced) hotel restaurant. Recently, though, we’ve come across a B & B that may have made us change our minds. 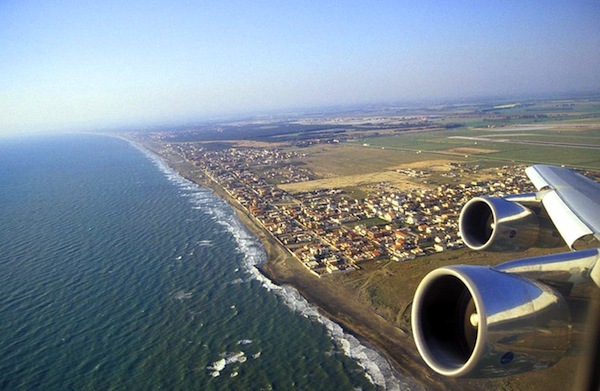 While Fiumicino still isn’t exactly a hotspot of exciting things to do, it could be the perfect spot for an easy, relaxing night before you have to take a morning flight. 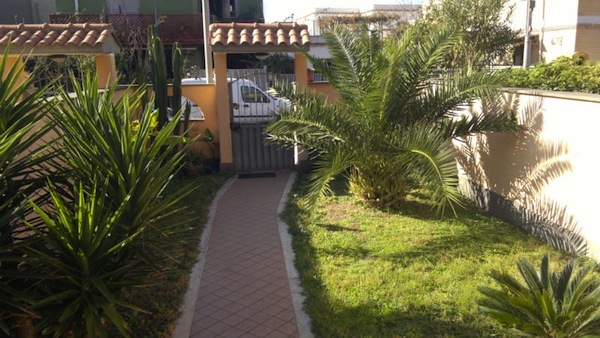 Bed & Breakfast L’Isola is actually located 2 kilometers away from Fiumicino/Leonardo da Vinci airport, but they offer a shuttle service to/from the airport. It’s also close to the dock for the fast boats to Sardegna, close to the Nuova Fiera di Roma (a huge convention center that hosts a number of major events throughout the year), and some historic Roman sites like Ostia Antica, Porto di Claudio, and the Isola Sacra Necropolis. 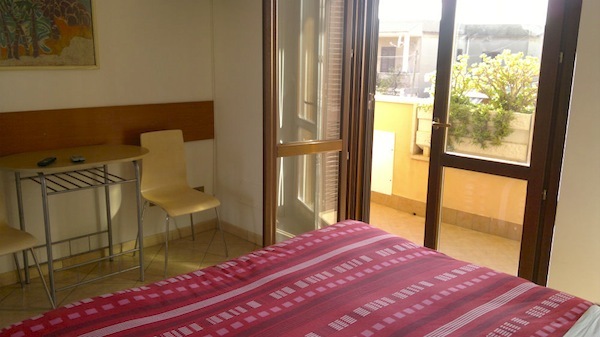 Located in a small private “villetta” with garden, the B & B has its own independent entrance and offers clean, spacious rooms with private bathroom, air-conditioning, TV, and free Internet. For those who are driving, internal parking is available. Walk down the street from the B & B 100 meters and you’ll be at the edge of the sea, so you can enjoy a fresh sea breeze and walk along the sand on your last night in Rome, a good way to relax and unwind from the craziness of Rome before you have to take a long plane ride home. My first time to Amsterdam was in the mid 90s. I was about 21 years old and can’t even recall how long, or how short, my stay there was. Yeah, it was the typical young male 20-something Amsterdam visit, inspired by the fact that I had a flight going through Schiphol Airport and wanted to experience getting high in the open – a real novelty when you’re 21. It was a great trip, and I certainly don’t berate anyone for wanting to visit Amsterdam to experience tolerant drug culture (although you can even get that in Colorado now). But Amsterdam is a lot more and on a recent visit, this time with kids and for a few weeks, I was blown away at this whole other personality the city has away from the red light district. In my opinion, the perfect way to start your stay. There’s a DNA Amsterdam interactive exhibit that takes you through the centuries, explaining the creation and development of the city and putting into perspective its growth and decline – first as a hugely successful merchant town, whose residents built nice homes in the 17th century to show off their wealth (spawning the entire Dutch Golden Age of Painting), and how this evolved into the land-of-liberty that Amsterdam is infamous for today. The museum is full of insights into the current attitude of the people – a small city that is worldly and can boast an ability to relate, communicate and tolerate other cultures. 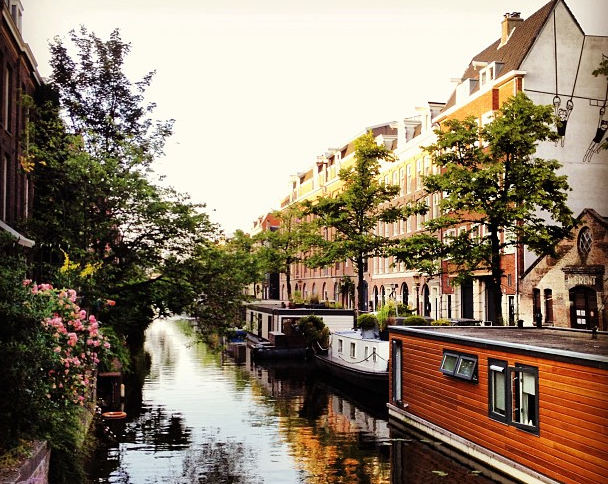 Then, as you walk around the city and admire the architecture of canal houses and the ability of the Dutch to speak English so well, you’ll understand the historic legacy that these (and many other aspects of the city) come from. This is the area West of the central station about a 20 minute walk away, bordered by the Lijnbaansgracht canal to the West, the Prinsengracht street on the East (where the Anne Frank House is), and the Brouwersgracht and Leidsegracht on the North and South. The area is filled with great restaurants, cafes, vintage clothing shops, and doesn’t feel as touristy as the area around the Dam. This is a neighborhood you can easily feel at home in. There’s a great organic market every Saturday from 9am to 6pm at the Noordermarkt. Come in the morning and get a piece of delicious apple pie from Winkel at Noordermarkt, 43. They also make a great cappuccino. For a cute little hotel, check out the Hotel Acacia (clearly I’m biased by the name) on Lijnbaansgracht. Not in the same neighborhood, but recommended is Cocomama colleagues of ours in the Luxury Hostels of Europe project. 3. Buy tickets to the Anne Frank house in advance. This picture says it all. Opening hours vary depending on the season, but in the summer, even open until 9pm, you can expect a line like this all day long. Buy your tickets online in advance and enjoy the feeling of bypassing the long queue and instead walking right up to the ticket holders door to buzz and get let in like a VIP. 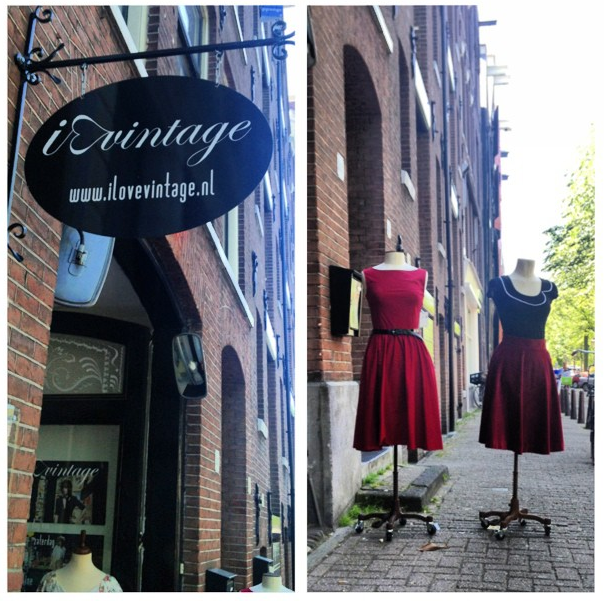 and Kaasland on Haarlemmerdijk 1 or De Kaaskamer on Runstraat 7 in the 9 Streets shopping area. 5. Watch out for bicycles! Takes a bit of getting used to, but you can’t just step down off a sidewalk without risking a major collision. Since they’re quiet, it’s especially dangerous if you don’t stay aware. Make sure to keep off the bicycle lanes which this town is chock full of. 6. 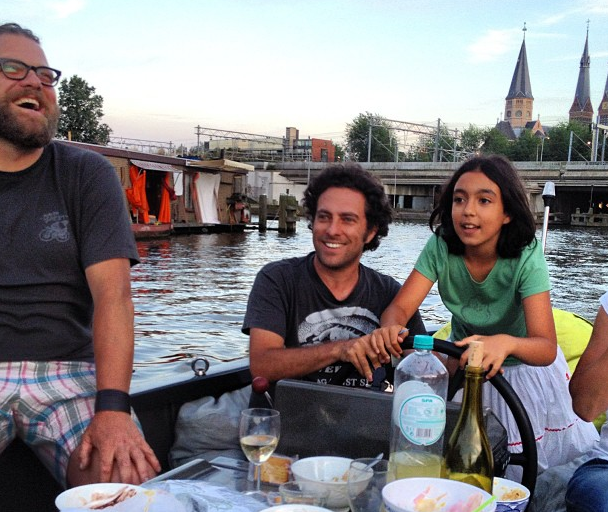 Rent a boat and cruise the canals. Here’s the best way to do this: make friends with a local who either has a boat or can borrow one. You bring the wine and cheese (see nr. 4) and enjoy seeing Amsterdam from a whole other vantage point. This, to me, is the city at its best! For those of you less outgoing, and/or more confident in your boating skills, you can rent your own through Boats4Rent for about €80 for 3 hours (you need to reserve it in advance), or you can do a canal cruise, tourist style, in many places along the city (there’s even a hop-on, hop-off version). This ship-like science museum is one of the best I’ve been to. Perfect for kids and the young at heart. Each floor is dedicated to a different age group. There’s plenty to entertain and teach little kids as well as teens (and adults as well). The entire slanted rooftop is a terrace/garden cafe – a great place to hang out on a clear day. I know – traveling in a foreign country can be tough when you can’t communicate. If you speak English, communicating won’t be a problem here. This great video from the Dutch Tourist Board makes it clear – there’s only one guy left who doesn’t speak English! 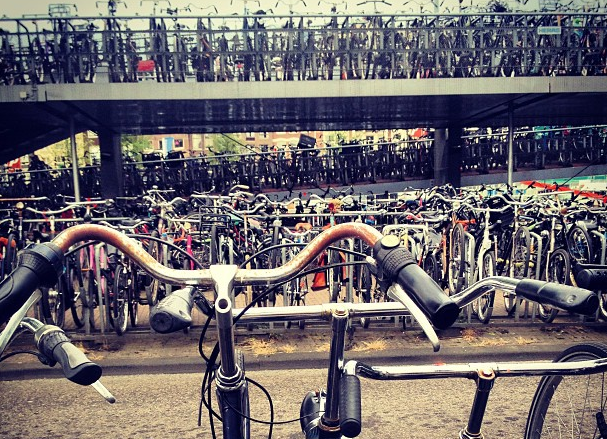 You will not be practicing your Dutch in Amsterdam. Recently reopened after a 10 year restoration and it was well worth the wait. Another of Europe’s enormous art museums that you can’t visit in a day, the Rijksmuseum is probably the only one with a bike path running through it! Although filled with works from many eras, the highlights are the Dutch masters such as Rembrandt and Vermeer and the Asian Pavillion. Book your tickets online and get there early to beat the crowds. My experience with museums is usually to leave feeling drained and in need of a nap, and being tossed into the sea of humanity. At the Rijksmusuem, you can stumble out exhausted, but then take a break outside in the beautiful expanse of lawn, benches, a cafe, and fountain you’ll see kids playing in to cool off in the summer. If you hold onto your ticket, you can also take a museum break out on their lawns and then go back in. 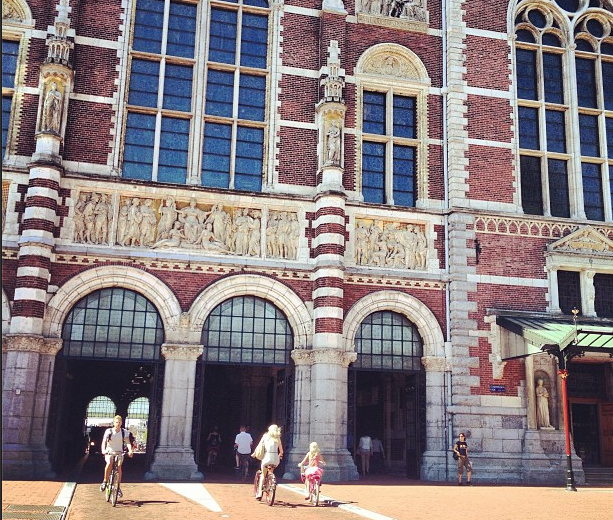 Museums are expensive in Amsterdam and it can add up. 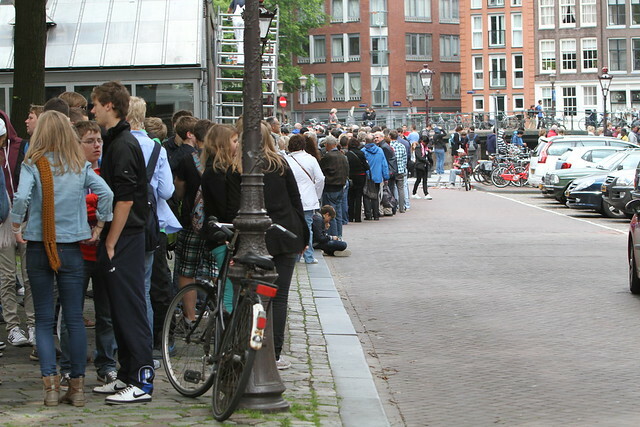 If you plan on visiting several museums, it would be a good idea to invest in the Museumkaart which you can purchase at select museums and allows you entry into any of Amsterdam’s 34 museums including the Amsterdam Museum, Anne Frank House and NEMO mentioned above and is valid for one year. Check out the other pass options also such as Amsterdam Holland Pass or I amsterdam card which include free entries, discounts and public transit. 10. Get a piercing or tattoo! 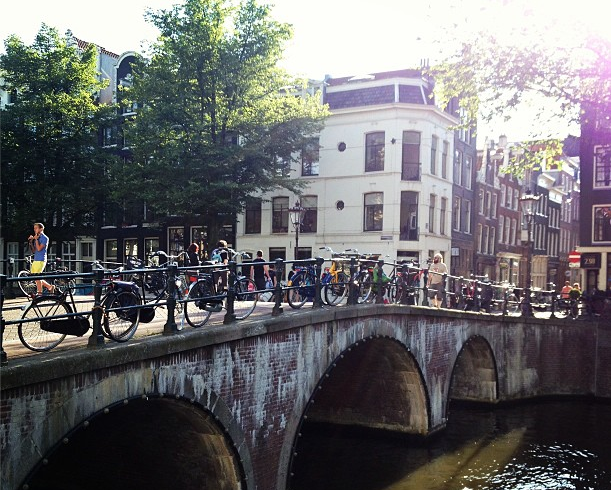 Definitely not a typical entry for a top 10 list, but Amsterdam is a good place for it! 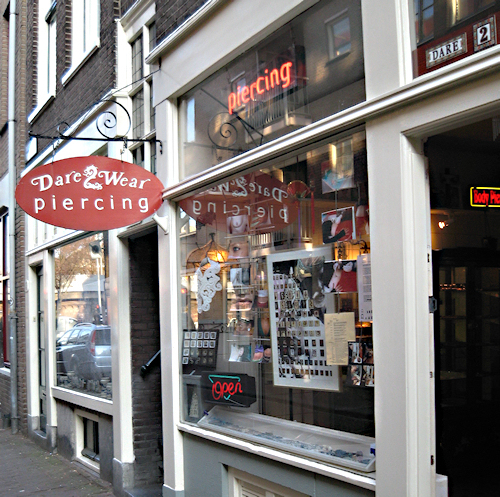 We recommend Dare 2 Wear just off Haarlemmerdijk on Buiten Oranjestraat 15 for piercings or their Classic Ink & Mods at Spaarpotsteeg 2 for tattoos. 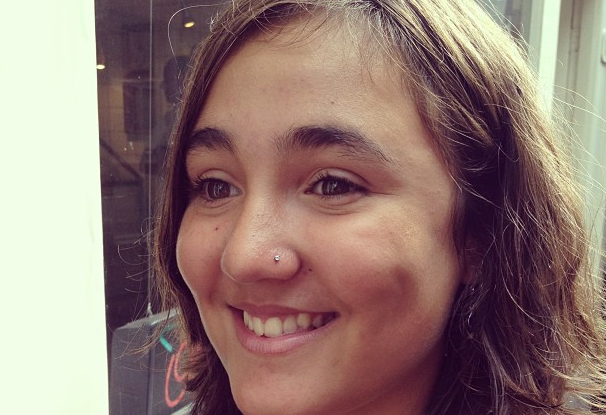 Friendly, hygienic, professional, good English – everything you want in a piercing or tattoo parlor in a foreign city. Makes a great birthday present for a 13 year old too! No trip to Amsterdam would be complete without queuing up at the hole in the wall Vlaams Friteshuis, sausmeesters since 1887. 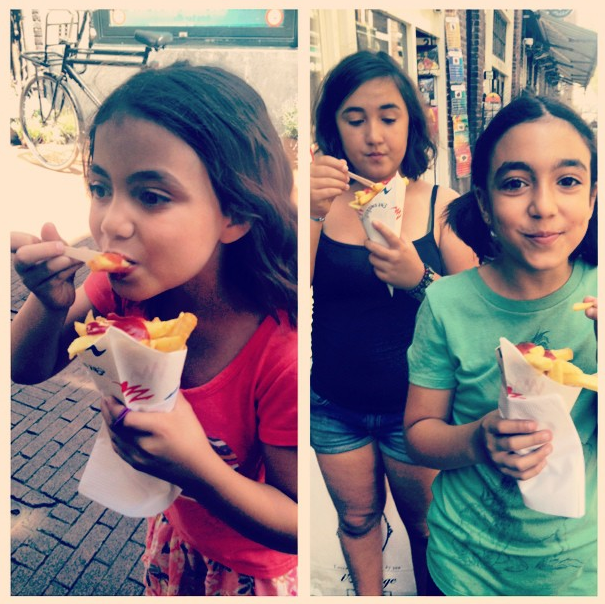 Located on Voetboogstraat 33, and always busy, this is clearly why potatoes exist. We often get asked for recommendations in other cities that we don’t cover on our site. The following is a review by Heather Howard, a guest of our hotel, The Beehive, who felt this place shared our values and hoped we could help spread the word about them. We stayed at the Beehive Hotel in Rome for a week in early September (wonderful!) and then moved on to Positano for the next week. Like our trip to Rome,we hadn’t wanted the usual touristy hotels, just something a little different that promised a warm welcome. We experienced that at the Beehive (thank you!) and also at Rifugio Degli Dei. 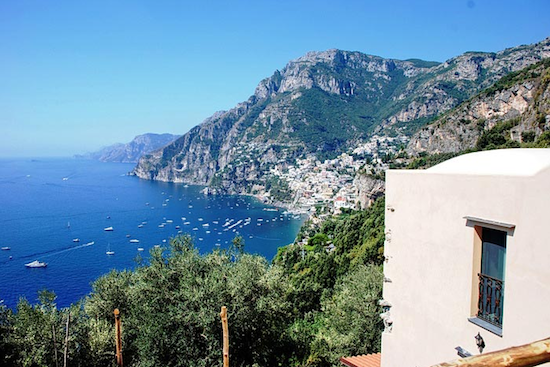 It lies about 15/20 mins stroll from Positano itself, and then about 240 steps up from the main road, hugging the Sentiero Degli Dei hike. The steps really weren’t an issue for us. We took our time, pausing to admire the amazing views as we caught our breath. And the view from the property is truly outstanding – one we never tired of. 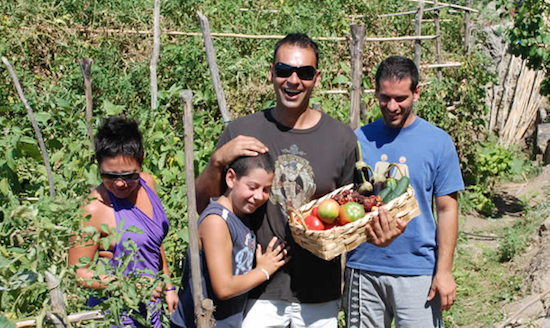 The Rufugio is an agriturismo (farm stay) and is run by the Fusco family who really are an absolute joy. Warm and welcoming, they clearly love having visitors and nothing is too much trouble for them. 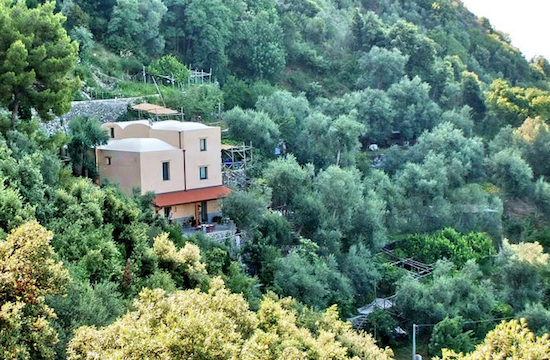 Any queries we had were dealt with immediately and Davide Fusco, the main host, is a delightful young man who always had time to show us around the property, which was full of grape vines, pomegranate, olive and persimmon trees – the list goes on. Breakfast is cooked every morning by Anna, Davide’s mother, and is included in the price of 100 euros per night (50pp), or 600 euros per week. Everything is homemade, mostly from the farm produce. As Davide said to us, “about the only things we don’t grow are coffee and milk!” Our room was spacious,and spotlessly clean. 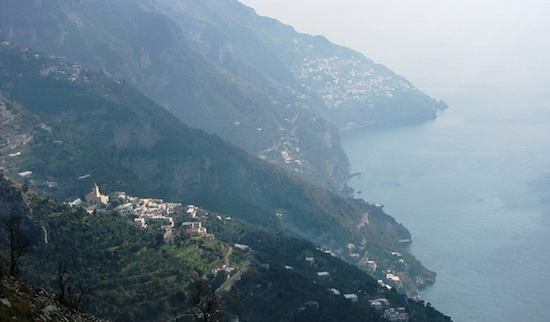 We visited Positano itself, Amalfi and Nocelle, high up on the Sentiero Degli Dei. Davide and the family were always extremely helpful, with bus times, places to eat, local history, etc. We really cannot praise this property and the Fusco family enough. They were kindness itself to us! 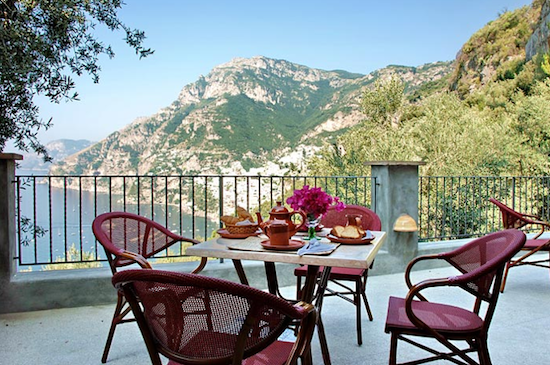 Rifugio Degli Dei agriturismo in Positano.